On 7 August 2017, Ngāti Rangitihi alongside Tūhourangi and Te Puia | NZMACI announced their purchase of the Waimangu Volcanic Valley eco-tourism experience. 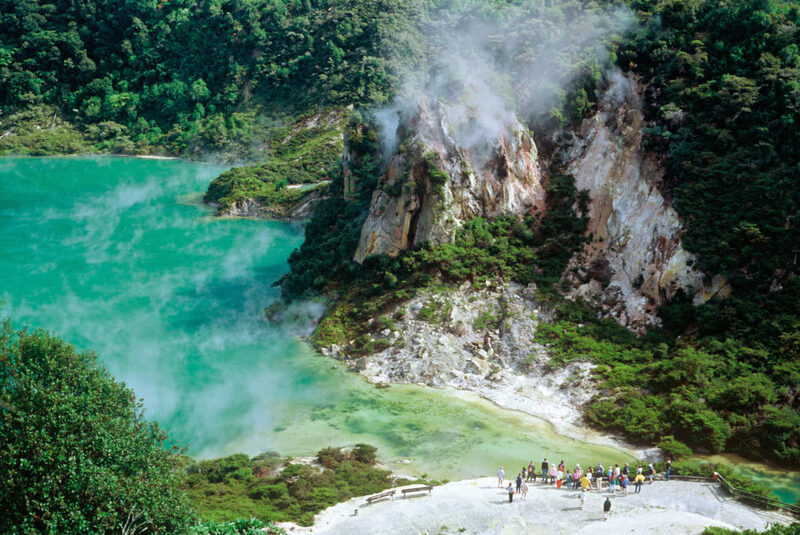 The business includes sightseeing tours looking at the unique ecology, rare botany and fascinating geothermal features of the valley including steaming volcanic crater lakes. It encompasses Lake Rotomahana and is set in pristine New Zealand bush 20 minutes south of Rotorua and 40 minutes north of Taupō. We’re excited about the opportunity Waimangu presents to establish an economic base for our iwi that supports the development of our people for years to come.